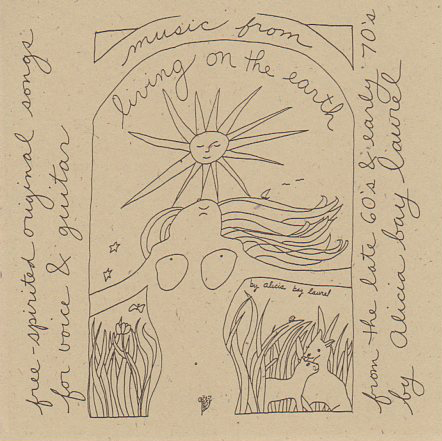 Posted on May 28, 2007 by Alicia Bay Laurel	in Blog and tagged travel diaries. As jet lag would have it, I was wide awake at 4 AM, so I got dressed and went out for a walk. No one else was stirring in camp. 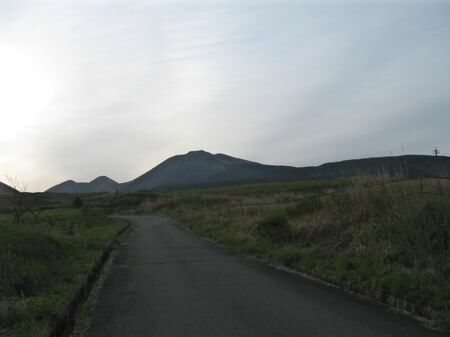 I walked up the road to where I could get a better look at the summit of Aso Mountain. Although it appears to be a volcano, it’s actually part of the wall of an enormous ancient volcanic caldera that includes the mountains on the other side of the valley where Aso town lies. 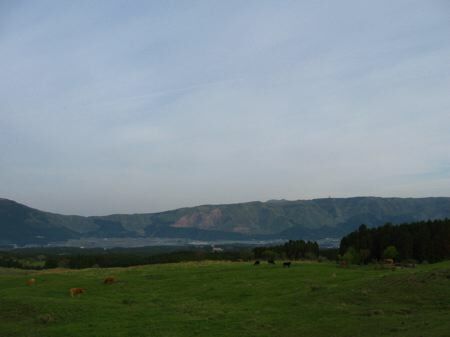 The mountains that form the other side of the caldera, with Aso City below. 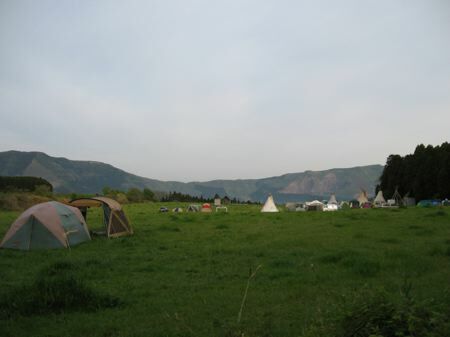 View of camp as I headed back down the hill. 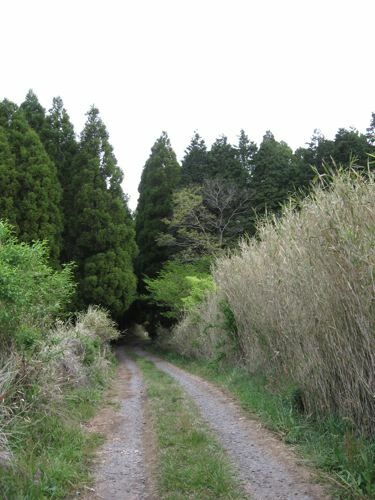 The driveway into the festival. with no electricity and no running water, and I remembered the old way to heat a bed with stones warmed in a fireplace. So I borrowed some bricks, bought some small towels, and heated the bricks by the campfire the following night, wrapped them in the towels and had a warm bed for the rest of the festival. 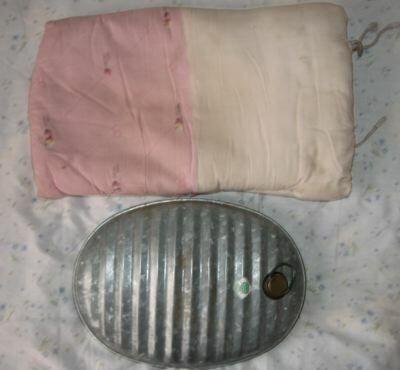 The Matsuis, ever the gracious hosts, added their beautiful old-Japanese-style hot water bottle, wrapped in a fabric from India, to my bed warming equipment, to place under the back of my knees. Elevating the knees makes the neck flat, eliminating the need for a pillow. 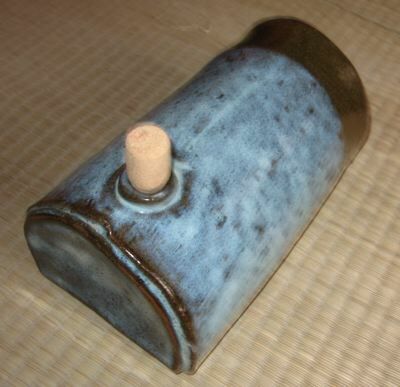 Mikiko Sato, who will be hosting a concert and workshop in June for me and Sachiho at her place in Sendai, Tohoku prefecture, also lent me her hot water bottle, which is made of metal, like a canteen, and has a quilted cover. 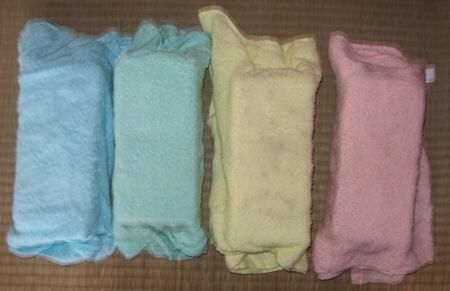 The two hot water bottles provided me with a supply of warm water with which to wash myself in the morning. 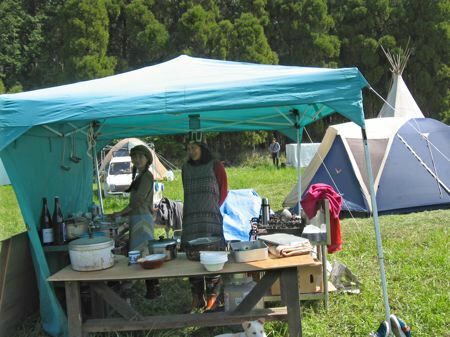 Mikiko (on the left) working in the pre-festival camp kitchen. 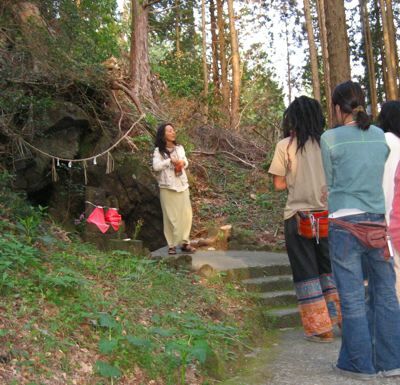 She teaches classes for parents and children together doing Steiner pre-school activities. 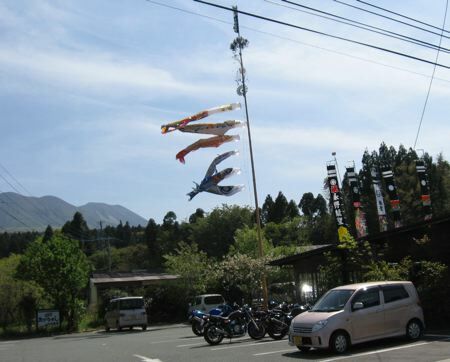 The way I got clean most days of the festival was catch a ride into Aso town with friends and bathe before soaking at a hot springs bath house. On this day, Sachiho and I squeezed into a van with Yu and Saori and four other friends for a whole day of fun that included soaking at an on-sen (hot springs bath house) dedicated to Benzaiten, the Japanese goddess of music and wealth who parallels the Hindu goddess Saraswati, followed by a delicous soup at a noodle house. 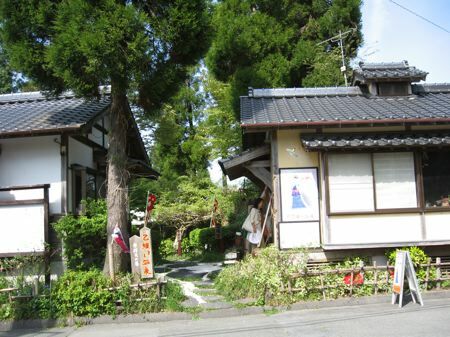 We would also do a ceremony to Benzaiten at a shrine in her honor at a Shinto temple on the same road as the festival grounds, about a mile down the hill. 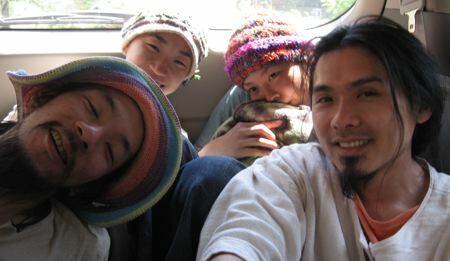 Eight of us crowded into a van for this outing, and we made music while we traveled. 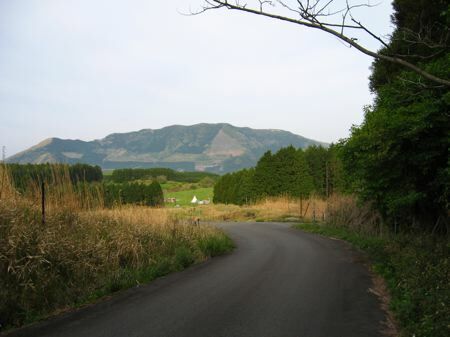 View of the mountains from Aso town. 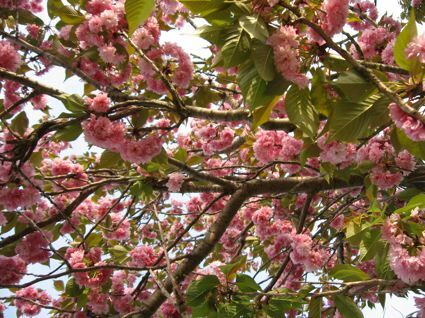 Cherry blossoms (sakura) in Aso town. Sign at the entrance to the hot springs bath house. The bath house from the street. 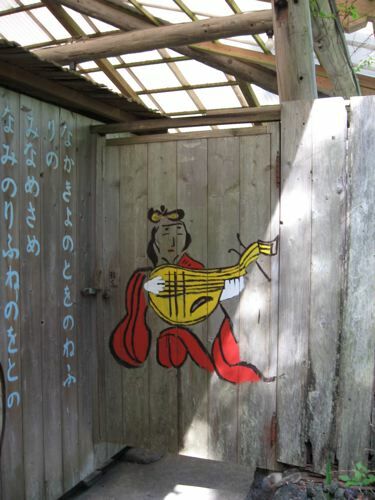 The shrine to Benzaiten on the path from the office to the baths. Everyone took a moment to offer a little prayer. 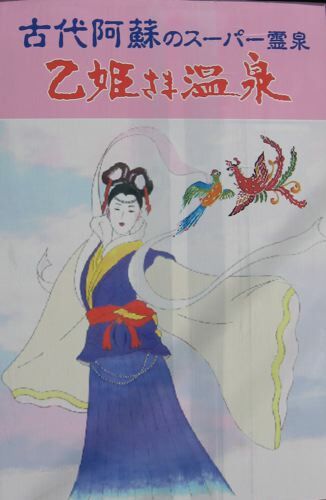 Painting of Benzaiten on the entrance to the women’s section of the hot springs. 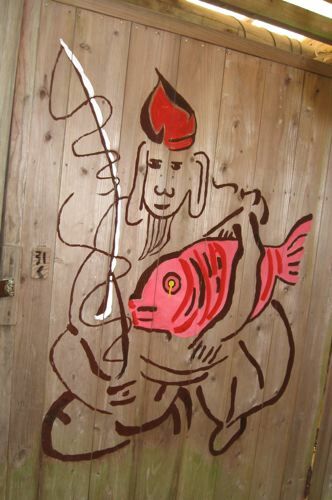 Painting of Ebisu, the god of fishing and merchants, on the entrance to the men’s section of the hot springs. 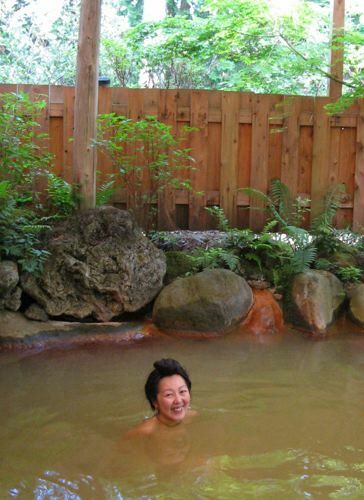 Sachiho soaking in the hot springs. On our way home, we stopped to offer prayers to the goddess of music for our upcoming performances at the festival. 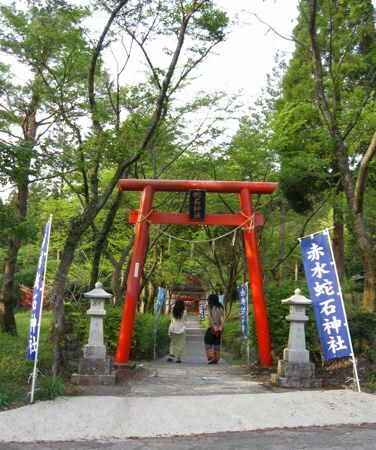 We pass under the torii at the entrance of the Benzaiten shrine on Aso Mountain. 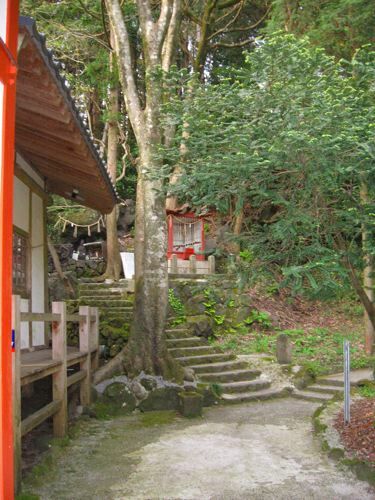 Stairs to the Benzaiten shrine. 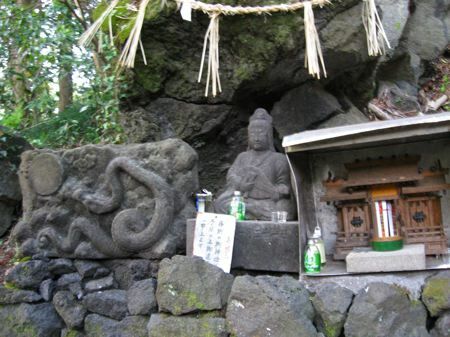 The famous pair of albino snakes who live at the Benzaiten altar. 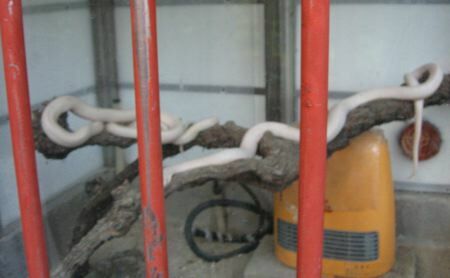 Yes, those are real snakes, and they are alive. 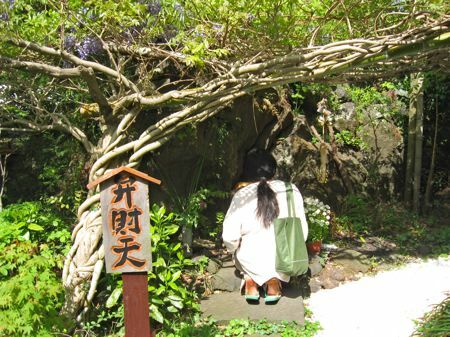 Sachiho leads prayers at the Benzaiten shrine. 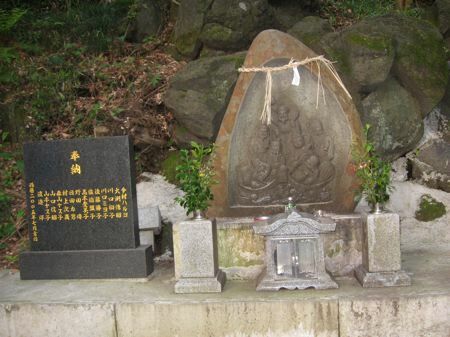 Shrine to the seven fortune gods (of which Benzaiten is one) at the Benzaiten shrine.